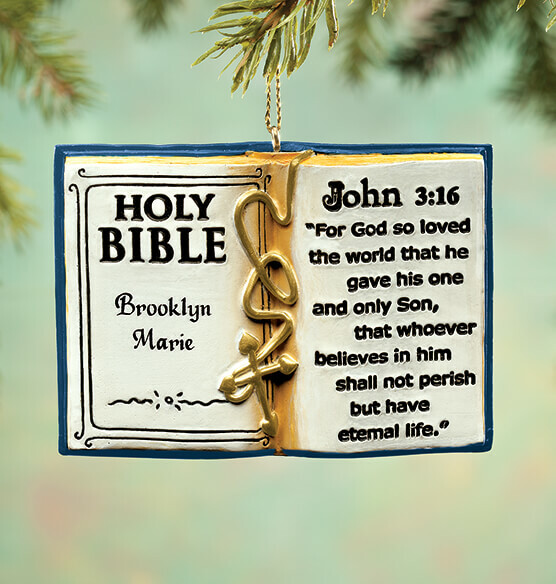 With pages open to John 3:16, this Personalized Holy Bible Ornament is a beautiful reminder of the greatest Christmas gift, "God's one and only Son". Brimming with detail all around, the 3D ornament features golden "gilt-edged" pages, a lovely cross bookmark and a golden cross on its outside cover in back. 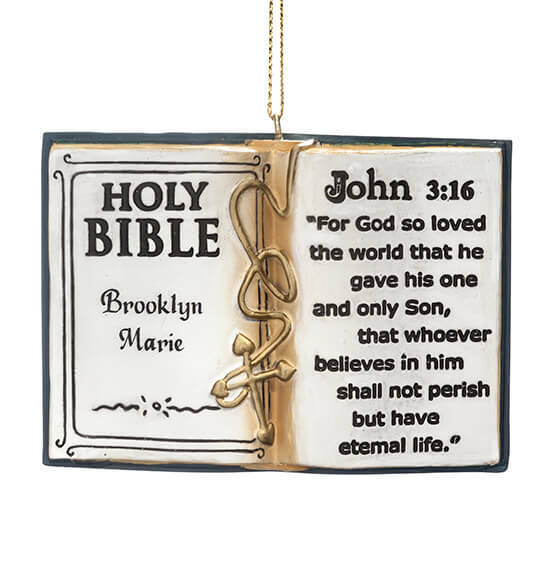 We'll personalize, creating a custom gift to celebrate a confirmation, baptism, first communion ... or simply honor a friend or loved one's faith. It's also a thoughtful bible study gift. Specify name; limit 2 lines, 12 letters/spaces each. Resin with gold hanging cord. 3 3/8" wide x 2 1/2" high. I buy Christmas ornaments for my grand children every year. I bought this one for my granddaughter. It is very nice, I know she will love it.